Like his compatriots Alejandro Gonzalez Iñárritu and Guillermo del Toro, the Gravity director has dazzled viewers with his innovative visual style for almost 30 years. Cuarón is known for capturing the intensity of life’s most harrowing moments, but how exactly? In this post, we’re going to examine how Alfonso Cuarón’s shot list engages with audiences in unexpected, yet meaningful ways. Let’s just say his approach is unique amongst his fellow Harry Potter directors. So buckle your seatbelt, because we’re going for a ride! Cinema of course is a visual medium. Because of this, it is essential for camera movement to enhance the themes of a story. Like the best directors, Alfonso Cuarón turns camera movement into an extension of character emotion. 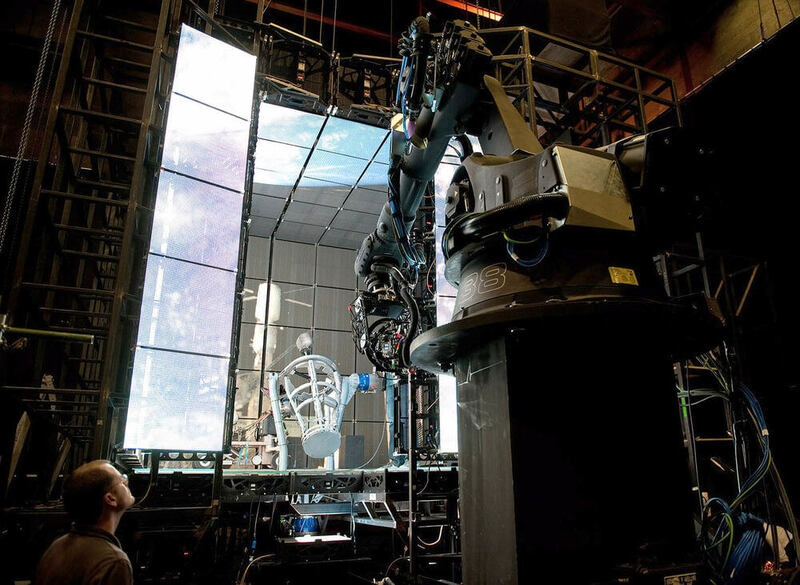 Whether employing handheld, steadycam or robotic arm, Cuarón uses the tools of cinematography to create an intense, symbiotic relationship between viewer and onscreen action. 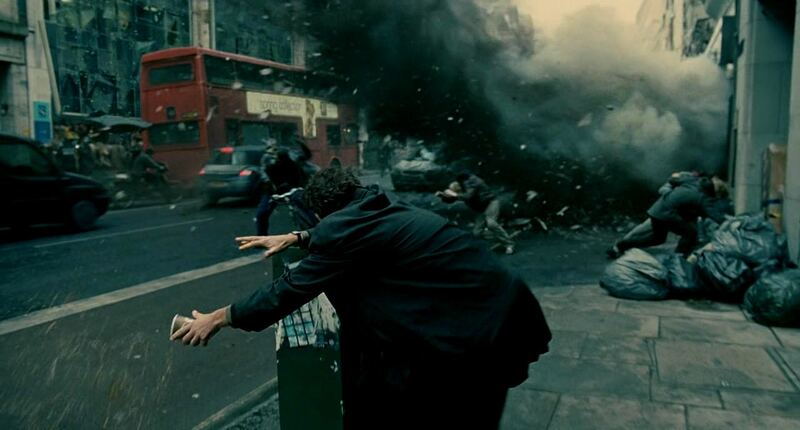 Consider how Cuarón uses this strategy in Children of Men. When we sit down to watch a video, we typically understand that what we are seeing is artificial. There is no dinosaur or gargantuan boulder that is in danger of killing us. In essence, we experience thrills without the threat of physical harm. For Cuarón though, the primary objective is to conceal this artifice. Perhaps most importantly, Alfonso Cuarón movies turn the viewer into an active participant in the narrative. When Theo Faron dodges an explosion, or fends off angry transients, the audience is right by his side. The shake and hesitation of the camera movement enhances the suspense of the scenes. Instead of keeping the audience at a distance, Cuarón makes us feel like one of Faron’s accomplices. This is a story of escape, where danger literally lurks behind every corner. Ultimately for Cuarón, if an audience is going to engage with a narrative, they need to feel as if they are a part of it. Filmmakers and long takes have had a complicated relationship. On one hand a long take can build tension and sustain the emotional impact of a scene. But on the other, it limits the editing possibilities in post-production. 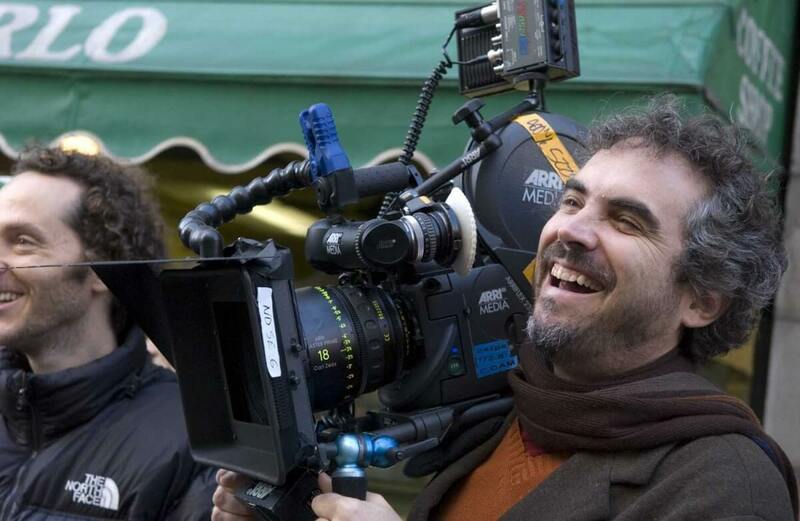 Alfonso Cuarón is a proponent of the former, and has taken the technique to its absolute extreme. He says, “I love long takes because they are abstract, thematic movements. Take a look at how Cuarón handles this idea in his film Gravity. Right from the get go, Cuarón makes it known that the long take will be essential to the structuring of the story. The film opens up with a 17-minute unbroken shot. Amidst the chaos of the out-of-control spaceship, astronaut Ryan Stone dodges debris until spinning off into the dark void. Although the film takes place in orbit above Earth, it still maintains the familiar themes of a classic survival story. Mainly, the psychological stress and physical resilience one must endure in a hostile environment. Unlike an Earth-based landscape though, there is no cavern to take shelter in, or ground to rest on. Here, there is only perpetual drift. If a character is caught in the currents of space, there’s a real chance that refuge will forever be out of reach. The Gravity director uses this uncertainty to his advantage, designing long takes that give no indication of when they might end. Again, for Cuarón it’s about finding a method for the character to reflect the environment, and the environment to reflect the character. And it’s these extreme long takes that make these compelling worlds evermore immersive. Okay, we’ve seen the director of Gravity take a shooting style and make it the primary tool for enhancing his screenplay. Unlike many filmmakers though, Cuarón is not satisfied with limiting himself to a single style per film. In fact, he’s not satisfied with limiting himself to a single style per sequence. The fluidity, and unending nature of time has been a fascination for Cuarón. To showcase the infinite number of perspectives even in the briefest moments, Cuarón turns to what is known as the elastic shot. Elastic shots are sequences that progress from very wide shots, to close ups and finally to a point of view shot. The purpose of this strategy is to alternate between objective and subjective perspectives. 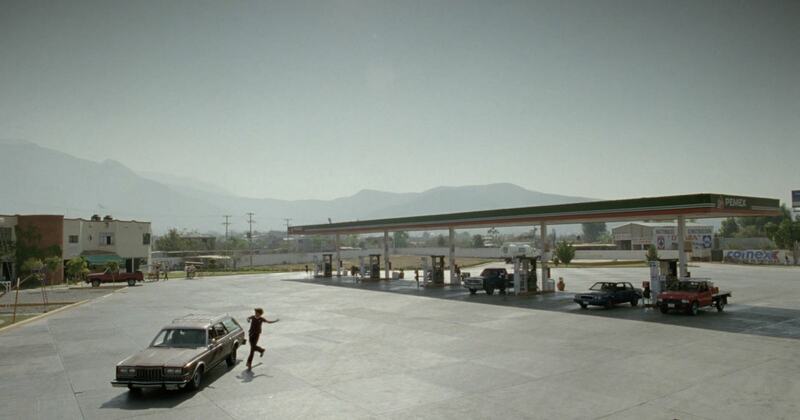 Consider Cuarón’s Y Tu Mamá También for example. 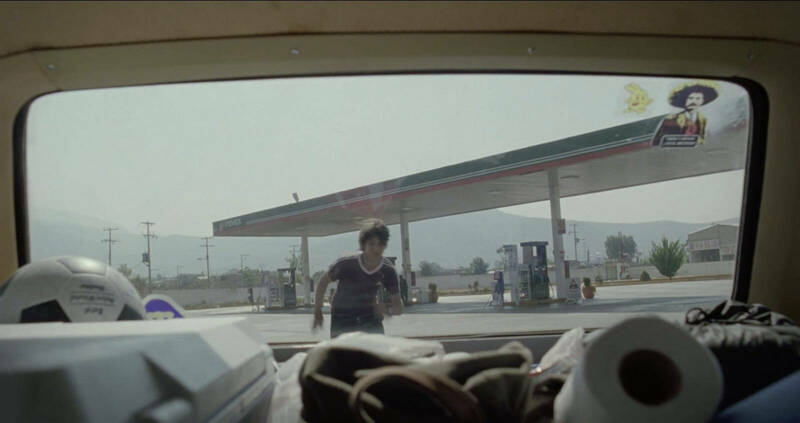 Here, we have Cuarón’s updated take on the classic Hollywood road movie. As Julio Zapata and Tenoch Iturbide progress on their journey, they come face-to-face with the economic and political issues facing Mexico. These young men are moving out of the safety of adolescence, and into the frequent uncertainty of adulthood. For the longest time they focused on their own problems, and only saw what was right in front of their faces. But now, things are quickly changing. No longer is there only one right answer, and one point-of-view. Time is a human construct. And with Y Tu Mamá También, Cuarón wants us to know that within every moment there is an endless number of interpretations. To help the audience in recognizing this, he allows his shot sequence to mimic the complexities of perspective. Like all of Cuarón’s techniques, elastic shots provide a more engaging experience for the viewer. In this particular case, the shot design enables a country’s geographical, cultural and political landscapes to be seamlessly investigated. With his unique approach to shot design, Alfonso Cuarón manages to convey the complexities of our reality in both a thought-provoking and entertaining manner. Sure, Cuarón may choose not to watch his films again. But with innovative shooting techniques such as these, we can’t help but tune into every thrilling experiment he develops. Want to create a shot list just like the director of Gravity? Sign up for StudioBinder and start building your project for free. And if you want to learn more, check out our Mastering Shot Lists video series!